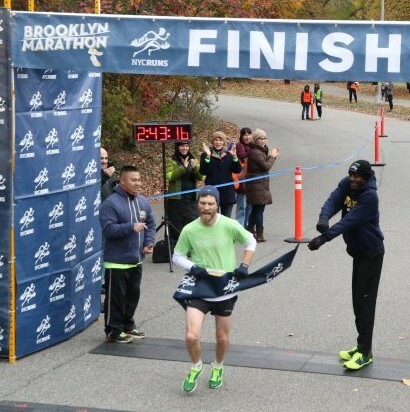 It isn’t often that a marathon is won by a grandmaster, but that’s just what happened when Lawrence Warriner descended from Toronto to break the tape at Brooklyn. In our interview, Warriner, 51, describes the race and shares a training regimen that has kept him ahead of the whippersnappers. Elsewhere, we praise another master, Daniel Gercke, on his Philadelphia Marathon, relay Al Michaels’ take on the Zola Budd/Mary Decker tangle from his new book “You Can’t Make This Up,” and jump on the “Queens in the next Brooklyn” bandwagon to resolve the competition among race organizers for access to the streets of New York.